Back when I was at high school, I was faced with a tough decision: what would my next step be? With so many different disciplines to study and so many locations to study at, it can be a decision that may be a little frightening at first. I would like to tell you how I’ve made my decision and hope to help you with yours by showing what studying Electrical Engineering at the University of Twente is like. I have had a strong interest in new technologies for a long time now and it had a major impact on my decision to study Electrical Engineering. The combination of wanting to know how the newest smartphone performs and my preference for the technical high school subjects such as physics and mathematics made that I was quickly able to reduce my study choice to two disciplines: Computer Science and Electrical Engineering. After visiting several open days, I concluded that Electrical Engineering was a better match due to its practical applicability in comparison to Computer Science. What remained was the location to study at and I quickly decided I preferred to study in English as most future jobs would involve an international setting. That ruled out one of the Dutch technical universities and left me a choice between two: Eindhoven or Enschede? I really liked the small scale and atmosphere in Enschede, but saw the tech campus in Eindhoven as a great plus too. To make the final decision, I decided to be a student-for-a-day in Enschede and followed some lectures and tutorials to taste what studying at the University of Twente is like. I really enjoyed the nice atmosphere between the students and the attention from the teachers for the individual work of students and decided to apply. So what have 3 years of studying Electrical Engineering in Enschede brought me? To start with: a great time! The diversity of student life in Twente is fantastic; there are many opportunities to do stuff you like next to your studies to relax or to learn more. I have joined several committees within my study association Scintilla and have gained valuable experience in organizing activities, drinks, lunch lectures and many more things! I greatly appreciate the fact that the association is there to strengthen the bonding between members, but also to monitor the quality of the lectures, tests, practicals, etc. Next to that, the association allows you to orient yourself with respect to future job perspectives by providing the necessary connections between students and companies. Also the Electrical Engineering program itself turned out to foresee in my expectations. Each year is divided into four modules, each module is concluded by a project that integrates the knowledge that has been obtained in the various courses that were taught that module. These projects proved to be not only a great opportunity to test your understanding of the various subjects, they also made possible the creation of several cool things. After 10 weeks we were already able to design and build a heartbeat sensor! Other projects that first year included an audio amplifier and radio transmitter. The second year contains another four modules that broaden your understanding of the Electrical Engineering disciplines. The modules focus on computer architecture, systems and control, device physics or network systems and signal processing and communications. Especially the systems and control project turned out to be very cool: we built an autonomous hovercraft! The third year contains an elective space of 30 EC in which I decided to learn how to become a high school teacher in physics which taught me a lot about the general understanding of science among the younger minds. The third year is concluded by the Bachelor Thesis which consists of two phases: the design phase and the research phase. The first involves a very big design project with large groups of ten members. This project, in which we have designed a portable Bluetooth speaker in combination with a base station that can be used at home, has been my favourite project so far. The freedom of the assignment enabled us, as a group, to come up with our own awesome concepts and work them out under the guidance of the module teachers. The philosophy of technology course that was taught proved to be a useful part of the design and showed us how important evaluating the possible use cases can be for engineering projects. It gave context to the human side of design and showed us how important it is to design high tech products with this human side in mind. The research part concludes the Bachelor and consists of doing research in one of the chairs in the University. The possibility to research something you like and which is on the cutting-edge of technology is really exciting and prepares you for your masters. All in all, I would like to stress that it is important to choose something you like. 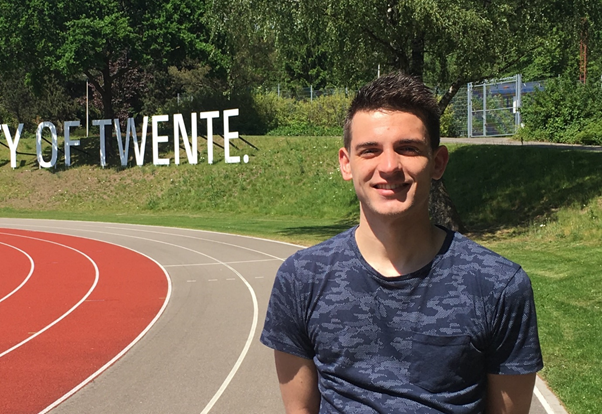 From personal experience, I can say that studying at the University of Twente offers you many things and make sure your life as a student is diverse and fun!